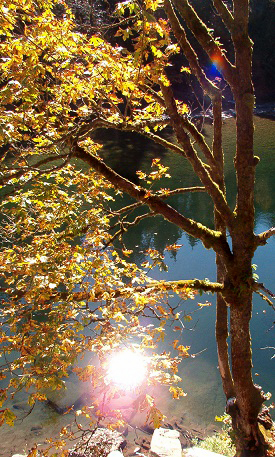 Autumn on the Wenatchee. © Pat Paquette, 2013. This is essentially “Part II” of this week’s forecast. I wanted to discuss the Libra ingress chart, but the post was already getting quite long. Ingress is just a fancy astrological term meaning “entry.” It can apply to any planet entering a new sign. Studying the ingress chart for the Sun at the beginning of the seasons is a traditional method of forecasting events for a country. Of the four cardinal ingresses, Aries is the most significant, and the chart can apply to the entire year. The Libra ingress, the halfway point in the solar year, is the second most important, and the chart generally is interpreted as applying to the following six months. The Sun enters Libra on September 22, at 4:44 p.m. EDT. 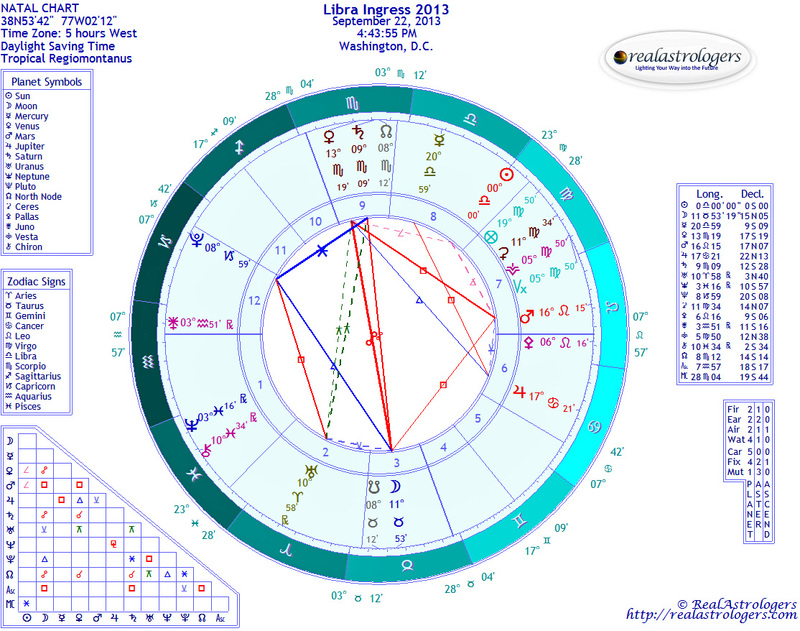 The chart for Washington has just shy of 8 degrees Aquarius on the Ascendant. Saturn, the traditional ruler of Aquarius, is found in the ninth house, which is associated with foreign countries, religion, and the law. Venus is in a separating conjunction with Saturn, which I interpret as the recent diplomatic effort to force Syrian President Bashar al-Assad to report and destroy his arsenal of chemical weapons. Venus is the planet of relationships and diplomacy, and with both Venus and Saturn is secretive Scorpio, the public doesn’t have all the facts. We don’t know what kind of horse-trading went on behind closed doors or what the U.S. government might have given away to get what it wanted. And we really don’t know what it wanted. The official line from the White House and Congress was that air strikes were needed to punish Assad for using chemical weapons, but the evidence that he did so isn’t conclusive, and any fifth-grader could tell you that the chemical “red line” was just an excuse for a war Washington has wanted for years. So, the public doesn’t know a whole lot, and that really bothers us. In the ingress chart, the public is represented by the Moon. As you can see, the Moon is directly opposed to Venus and Saturn, and it’s in Taurus, the sign ruled by Venus. People are in favor of diplomacy, but we nevertheless demand to know what is being said and done in our name. The Moon in the ingress chart for Washington is in the third house of communications, including the Internet. People no longer rely on the mainstream media to tell them what to think, but freely share information across international boundaries. It’s no wonder that government surveillance has become so sinister. Whoever controls the information controls the power, and at least for now, information is uncontrollable. It’s interesting to note that the Moon is conjunct the lunar South Node, while Saturn is conjunct the North Node. The South Node has to do with the past, perhaps even with national “karma.” Historical accounts emerging out of the shadows clearly show that the United States and Britain have been making big-time mischief in the Middle East for decades, and mostly because of oil. As much as we like a plentiful supply of cheap gasoline, we don’t much care for the idea of sending our young men and women to die for it, especially not when oil and gas companies reap in obscene profits. The Moon makes an applying square to Mars, the planet of war, which is found in the seventh house of allies and open enemies. People will continue to protest U.S. military involvement, and perhaps we’ll even stall it for a while. However, Mars is the traditional ruler of Scorpio, which means he rules the ninth house, where all these backroom discussions are taking place. All of this tells me that there likely will be a war before next spring. Israel, our closest ally in the Middle East, is still eager to take out Assad. With Mars in the seventh house, it’s possible the United States will go to war on Israel’s behalf. Pluto, the modern ruler of Scorpio and symbol of espionage, is within three degrees of the cusp of the twelfth house of secret enemies. I’m not the only observer concerned about a possible false-flag operation designed to sway public opinion in favor of a war that would benefit those with vast wealth and power (another trait of Pluto). 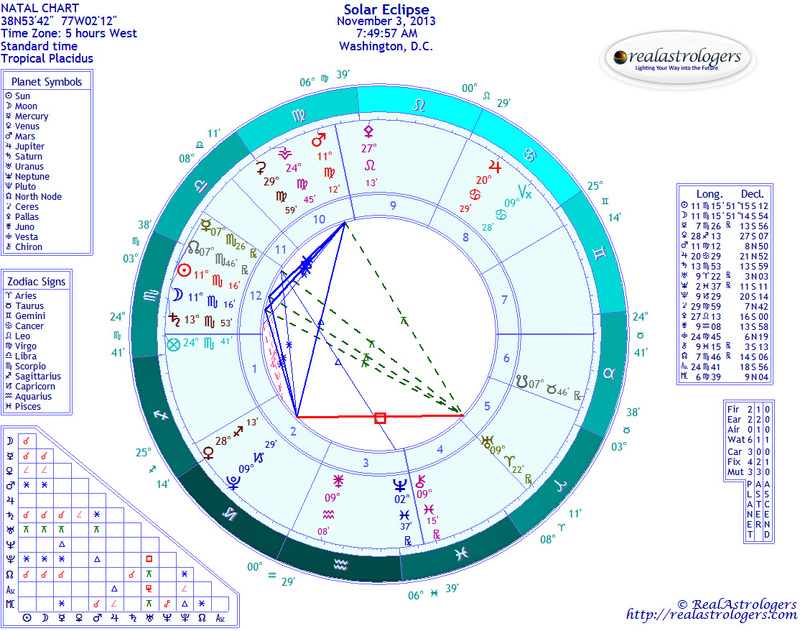 However, in this chart, the Moon is separating from Pluto, so it looks like this action is in the past – unless something happens between now and Sunday. At first blush, it seems unlikely, because those who might attempt such an act of evil know that the whole world is watching. They’d have to be damn good – and damn confident of their efficiency – to pull it off under such close public scrutiny. This secretive, authoritarian power revealed in this chart also could represent government surveillance and the public outcry over the abuses of the National Security Agency. The “good” side of Pluto is regeneration and rebirth. It’s possible that the trine from the Moon to Pluto represents a newfound sense of empowerment by a population that recently has succeeded in defeating an act of military aggression by its own government. Public opinion on Syria apparently has emboldened progressive members of Congress promoting a populist agenda, so this is another good outcome, a “right use” of power. But where is our leader during this time? This usually is one of the first things we look for in an ingress chart, and indeed I did. I just had to explain all the other aspects first. The leader of a country is represented by the Sun, which we find in the eighth house. There are lots of scary things related to this sector, but it’s also the house of foreign finance. Obama, it seems, is working behind the scenes, probably regarding the foreign debt. I just looked up who “owns” us. Most people know that China is our biggest lender. Japan isn’t far behind. We owe them more than a trillion dollars each. The oil exporting countries, including Saudi Arabia, Qatar, and Kuwait, are holding more than $250 billion in Treasury securities. Brazil is pretty high on the list, too. Russia is eleventh. The Sun is “receiving” from Mars in Leo (and transiting Mars has just passed Obama’s natal Sun at 12 degrees Leo). If the Sun in the eighth house represents private discussions about the foreign debt, then war is a significant factor in any negotiations that are taking place. I’m not enough of a financial expert to understand the possible scenarios, although the first thing that comes to mind is arms deals. In fact, the United States recently sealed a $10 billion deal with Saudi Arabia and Israel. Negotiations reportedly were quite delicate and have been going on in secret for a year. The ostensible motivation is to protect Israel from Iran. National banks and the nation’s wealth are a function of the second house. This is quite interesting, because we find rebellious Uranus here, tightly square Pluto and inconjunct Saturn and Venus. Uranus is in Aries, the “me-first” sign. This may be a reference to the public outcry over spending billions abroad, whether to fight a war or for other reasons, when Congress says we can’t afford Obama’s healthcare plan, food stamps, job creation, rebuilding infrastructure, and other basic necessities. I suppose Uranus in this position also could represent some radical changes at the Federal Reserve. The current darling of the media for Fed chairman is Janet Yellen. If Obama appoints her and Congress approves, she will be the first woman ever to hold the job. Observers believe Yellen would do more than current Chairman Ben Bernanke to put the U.S. economy on a faster road to recovery. The first house in an ingress chart represents the state of the country overall. Neptune and Chiron are the only planets here, and this is somewhat disconcerting. Like Pisces, the sign it rules, Neptune has a dual nature. On one hand, it represents idealism and a feeling of connectedness. On the other, it represents lies, deceit, confusion, and delusion. Neptune rules oil, chemical weapons, and contagious diseases and is associated with fear and paranoia, such as the ongoing fear of a terrorist attack. Fear can be manipulated by powerful groups with an agenda. I do worry a bit that as the public becomes more empowered with information and is harder to fool, those seeking total control will stop at nothing to convince people that the surveillance, suspension of constitutional rights, no-fly lists and other extreme measures are for their own protection. Chiron in Pisces seeks to heal the collective psyche, so I’m also hopeful that we may find a way to heal as a nation and work together to solve the critical problems facing humanity and the health of the planet. It is possible. 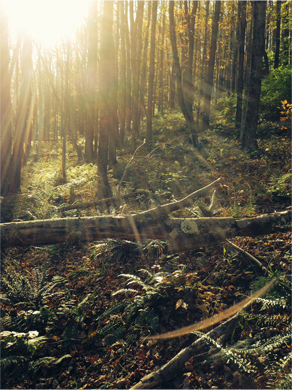 With fall approaching, several of you have written to ask whether I’m going to offer a fall forecast. I’m happy to announce that I’ve done the prep work, and the StarGuide Fall 2013 report is now available. I’ve modified the format to provide more personal information – in other words, I’m writing more material from scratch based on your transit charts. I review a minimum of six charts (and often more) for each report, and with the old format, I was spending a lot of time trying to make my analysis fit into a pre-set space. The new format gives me the flexibility to write more about significant lunar cycles and less about those that I don’t think will affect you much, and I’ve allowed the space to write about transits that aren’t tied to the New Moon or Full Moon. I’ve raised the price slightly, but it’s still a bargain, considering all you get. I wrote a sample so you can see what it will look like, using Edward Snowden as my subject (looks like he’s going to have a very challenging autumn). I’m still not feeling all the way back to normal, and these reports are longer, so plan on several days to get your forecast. Also, note that I’m not yet offering natal and compatibility reports. I need to see how it goes with the fall forecasts, and if I find that I can manage the load, I’ll start adding reports back to the menu. I appreciate your patience and understanding; this has been a long, hard struggle, and it’s not completely over yet. This entry was posted in Forecasts and tagged Libra ingress, mundane astrology, Solar Eclipse in Scorpio, Uranus-Pluto square on September 19, 2013 by Pat.